A recent hereditary cancer multigene panel result got me to thinking again about the thorny problem of incidental findings in genetic testing. My goal here is not to criticize the lab, whose staff was very helpful and open in our discussions, but rather to encourage open debate about the scope of results that clinicians want from genetic testing and how this jibes with patients’ expectations. Our expectations might be quite different from what patients want, and this plays an important part at the end of this story. My patient was recently diagnosed with breast cancer, and had a family history of breast cancer. One relative with breast cancer had already undergone BRCA testing, with normal results. The family history was non-specific but contained a hodge-podge of cancers that gets you to scratching your head – breast cancer, a primary brain cancer, a non-smoking relative who died before 50 of lung cancer, an aunt who died of some type of gynecologic cancer, and a few other malignant odds and ends. Given her relative’s normal BRCA results, we agreed that she would be best served by multigene panel testing, after a discussion of its potential downsides. Like 87% of my patients, no cancer-linked pathogenic mutations were identified. However a pathogenic EPCAM point mutation caught me by surprise. For those not familiar with the genetic architecture of Lynch syndrome, five genes are linked to Lynch syndrome – MLHL1, MSH2, PMS2, MSH6, and EPCAM. The underlying mutational basis is different for EPCAM than for the other 4 Lynch genes. 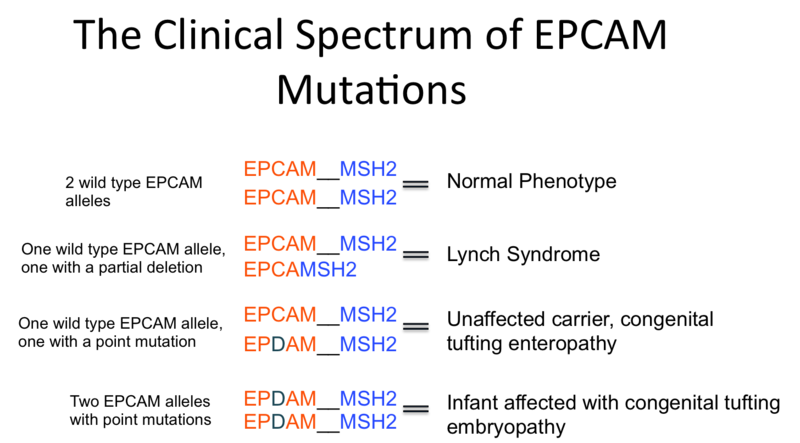 EPCAM is MSH2’s upstream neighbor. Mutations in EPCAM itself do not directly cause Lynch syndrome. Instead, large gene deletions in the distal part of EPCAM result in loss of its poly A tail that should signal the end of the coding region. RNA transcription does not stop, leading to an EPCAM/MSH2 chimera of a transcript. By a mechanism not fully understood, this results in hypermethylation of the MSH2 promoter and absent/reduced expression of the MSH2 gene product. EPCAM deletions constitute a small but significant minority of Lynch syndrome gene mutations and so labs routinely analyze EPCAM for large deletions. So why was the lab reporting a point mutation in EPCAM? My first (insecure) reaction was “Well, I guess point mutations in EPCAM cause Lynch syndrome. Just another in the steady stream of new genetic findings that flew under my radar but that everybody else seems to know.” I breathed a small sigh of relief and a temporary break from my professional insecurity when further reading of the report confirmed my understanding that point mutations indeed do not produce Lynch syndrome. Autosomal recessive EPCAM point mutations are linked to congenital tufting enteropathy (CTE), an uncommon disorder characterized by diarrhea so profound that patients often require ongoing total parenteral nutrition. Clearly my patient did not have CTE nor did any of her children, who were all well past the age when CTE would have manifested. The issue here, as any genetic counselor will tell you, is for the health of her grandchildren. Each of her children has a 50% chance of having inherited the EPCAM mutation. If a child has inherited the EPCAM point mutation and if the child’s spouse is also an EPCAM point mutation carrier, then my patient’s grandchildren from this mating would have a 25% chance of having CTE. Essentially my patient’s multigene panel test was transformed into a carrier screening test for a metabolic disorder for the next generation (The punster demon in me who I cannot control just remarked “Her grandchildren’s risk? Now that’s real NextGen sequencing! Or maybe NextNextGen.”). But, statistically speaking at least, the patient should not worry too much about her grandchildren. The frequency of CTE is between 1/50,000 and 1/100,000, which hardyweinbergs out to a carrier rate of about 1/135. Thus, the likelihood that my patient would have a grandchild affected with CTE is 1/2 (the chance that her child would be a carrier) x 1/135 (the chance that her child’s spouse would be a carrier) x 1/4 (the chance that the grandchild would inherit two mutated EPCAM alleles) = 1/1080. Using the time-honored genetic counselor’s trick of reframing, there is a 99.9% chance that my patient’s grandchild will NOT be affected with CTE. Did my patient really need to know this in the midst of her cancer treatment? I recognize that some patients undergoing multigene panels are still in their reproductive years and this information could be important to them. And one could argue that this situation is no different from other genes included on multigene panels that are also associated with different disorders when they occur recessively – NBN, BRCA2, ATM, fumarate hydratase. But I would counter that those other recessive disorders are qualitatively different situations. The same type of mutations that predispose towards cancer when they occur in the heterozygous state also predispose towards ataxia telangiectasia and the other recessive conditions and so one cannot avoid knowing that the patients carries the mutation. However, EPCAM point mutations are not linked to cancer and thus are not relevant to the reason why the test was performed to begin with. The lab included the EPCAM point mutation because of the nature of their testing platform, which can’t help but detect EPCAM point mutations. But should the lab have masked the results? Labs mask all kinds of genetic test results, hence the list of incidental findings that the American College of Medical Genetics recommends be reported to patients undergoing whole exome/genome sequencing even if they were not seeking that specific information (CTE is not on that list, though of course this patient did not have whole exome/genome sequencing). From a counseling standpoint, it might be an undue burden on patients to layer on a whole other level of psychosocial concern when they come to us primarily concerned about their cancer risks or treatment options and are not even thinking about their descendants’ risks of having rare genetic diseases. Another downside to reporting EPCAM point mutations is that it increases the frequency of finding variants of uncertain significance (VUS), the problem child of multigene testing. As fate would have it, a few days later another patient’s test revealed an EPCAM VUS. So after stewing on this and discussing it with colleagues, I was considering asking the lab to mask EPCAM point mutations in the future. But then I met with the patient to review the results. 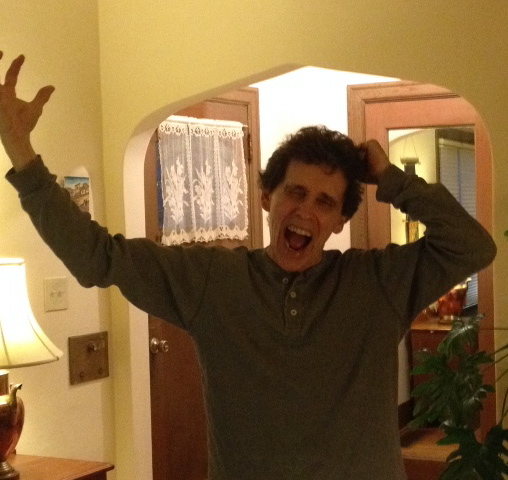 Not only was she not upset, she was excited and grateful about learning the information. She said that she underwent the testing to learn what risks her family faced, and as far as she was concerned, the CTE risk fit into her expectations even though I had never discussed it with her beforehand. Nor is she apparently an outlier. At this year’s ASHG conference, researchers from the Kaiser Permanente Northwest Center for Health Research discussed the results of an ongoing study in which 320 non-pregnant women have been randomized into two groups that underwent carrier testing. 200 women received usual care and 120 women underwent genome sequencing for 750 carrier conditions and ~100 secondary findings. Women in the genome sequencing arm were required to receive results about life-span limiting conditions but could elect to receive results of all or some of five broad categories of findings (serious outcomes, mild outcomes, unpredictable outcomes, adult onset diseases, and medically actionable secondary findings). To date, 90% of those in the intervention arm have elected to receive results in all categories. Patients can’t seem to get enough genetic testing. Maybe this enthusiasm stems from the excitement and sexiness of undergoing genetic testing, which for most people is a new thing and so there is still lots of gene spirit. Or maybe patients just don’t know enough to not want extensive genetic testing and eventually reality will set in when enough people undergo genetic testing and patients may become more reluctant to learn tons of questionably useful information (although the experience of 23andMe suggests otherwise). Maybe that day will come. But for now, whether genetic counselors like it or not, many – though by no means all – patients want to know a lot about their genetic make-up and want a choice in what they can know, even if it is not of immediate clinical value. The clinical utility of a test does not necessarily equal its emotional utility. Cost is no longer a factor; until recently, genetic testing would include the minimal number of genes because of the expenses involved. Nowadays, however, it essentially is no more expensive to run 5 genetic tests on a sample than 500 genetic tests. Patients and their families are the primary stakeholders so patient demand and expectations should be an important factor in determining the shape of genetic testing, though genetic counselors should offer guidance through our wisdom and experience. We also need to include all concerned parties in this discussion, such as the disability community and other patient groups affected by genetic diseases. And we need to serve as a counter-balance to some of the “Rah-Rah Ain’t genetic testing grand” advertising of some genetic testing labs. This will require open minds, finely honed counseling skills, and the development of new educational resources that will help patients better understand the bewildering array of genetic diseases and the strengths and limitations of genetic testing. At the end of the day, genetic counseling is still primarily a psychological encounter between two human beings. Here is where the future of genetic counseling lies. Duty to recontact (DTR) is one of those principles that on Mondays, Wednesdays, and Fridays I feel should be an unquestioned standard of care. On Tuesdays, Thursdays, and Saturdays, the practical part of me prefers to sweep it under the ethical rug (on Sundays, I give it a break and enjoy a wee bevvy of single malt Scotch). The devil lies in the details of time, effort, unremunerated cost, and frustration involved with trying to notify patients of significant re-interpretations of test results or the availability of new testing technologies. A recent systematic review of DTR by Ellen Otten and her Netherlandish colleagues concluded that, broadly speaking, patients value being recontacted whereas clinicians feel that DTR is desirable but impractical. 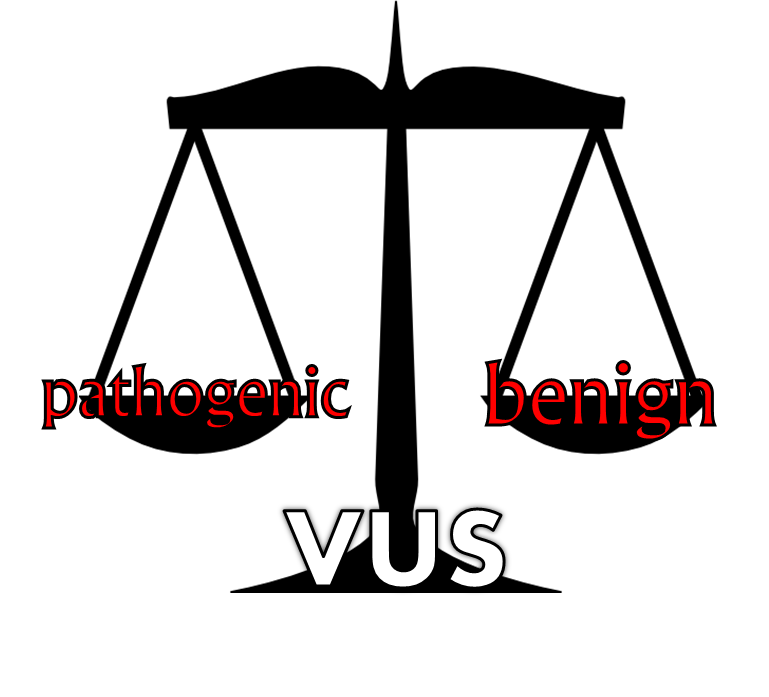 In a previous posting I suggested that labs should refrain from reporting variants of unknown significance (VUS) because VUS should virtually never be used to guide clinical practice, and that labs should track VUS and alert clinicians to significant reclassifications. That blogpost generated interesting discussion on all sides of the issue. Collaborative databases such as ClinVar and PROMPT may help sort out the clinical relevance of human genetic variation, and to some extent relieve individual labs of part of the burden of dealing with VUS. But these efforts will only further the importance of clear and reasonable DTR guidelines. We are in this to improve the lives of our patients, and if advances in genetic knowledge are not used to help clinical care, then we have a failure on our hands. The primary – but not exclusive – responsibility of monitoring and reclassifying variants should lie with the original testing laboratory or whichever corporate entity might one day buy out the lab. However, transparent sharing and curating of data among labs – such as with PROMPT and ClinVar – is critical and should be supported by government funding and built into the cost of testing. Classifying variants is enormously complex and the final word requires more than just a few smart people at a single lab rendering their opinions. Labs should make good faith efforts to contact ordering clinicians – not patients – when a variant is reclassified. The clinician is responsible for integrating the test results into patient care. If the clinician is not reachable or no longer affiliated with the same institution or practice, then the original ordering facility should be notified. If efforts to re-contact clinical personnel fail, labs might then consider contacting patients directly, though this could be left up to individual lab policy. If all attempts to recontact fail, well so be it, but should be fully documented. If clinicians do not want to take on the responsibility of DTR, then, quite frankly, they should not engage in the practice of ordering genetic testing and should refer their patients to geneticists or other clinicians who are willing to assume this task. DTR should be limited to situations where the reclassification of a VUS has direct clinical impact. Thus, there should be no DTR if a VUS is “down-graded” to a polymorphism or a benign allele. In my experience, the vast majority of VUS are down-graded. Alerting patients to every variant and then notifying them months or years later that the VUS was clinically irrelevant is not the best use of resources and manpower. However, DTR becomes critical if a VUS is “up-graded” to Suspected Pathogenic or Pathogenic, or – the more painful phone call to make – if a Suspected or Pathogenic allele is “down-graded” to a polymorphism (“Uh, that salpingo-oopphorectomy and mastectomy, well, maybe they weren’t so necessary after all.”). There should a “statute of limitations” on how many years out from the testing date that DTR would apply. My daughter suggested 7 years from the time of the original interpretation; she tells me that this is consistent with the length of time that care providers are legally required to keep patient records. I might be persuaded in favor of five years, in light of the mobility of clinicians and patients, the inevitable business cycle of lab acquisitions/mergers/closures, and advances in genetic testing that will rapidly make today’s cutting edge techniques look as elegantly primitive as Clovis point technology. When undergoing genetic testing, patients should fill out a form with their contact information. Patients should be actively involved in their medical care and this brings with it an obligation for patients to inform clinicians of contact information, along with details of who and how to contact if the patient becomes deceased, mentally incompetent, or otherwise unreachable. Ideally clinics would contact patients every two years or so to update contact information. While this is theoretically straight-forward with electronic medical records (EMR), most EMR are far less flexible and surprisingly less able to allow such seemingly straight-forward database functions. Getting your IS department to extract individualized reports, mail merges, and data analysis from the EMR is almost as difficult getting the US Congress to pass meaningful legislation. And, to add another layer to participation in their own care, patients should be permitted viewing access to online VUS databases, which should be made user-friendly. It may not be what every patient wants, but it should be available for those who wish to pursue it. In this area, we could learn a lot from direct to consumer genetic testing labs, which are light years ahead of us in designing easy to use, highly informative, up to date websites and creating on-line communities. Some of you will support a few of these proposals and think that others are about as good an idea as Discount Colonoscopy. But if we don’t do something then nothing will ever get done. What are your thoughts? Once again, thanks to Emily Singh for doing the hard work on the graphics (really, isn’t iClovis très cool?). Multigene panels have perked up the world of hereditary cancer testing. After 15 years of Myriad-dominated BRCA testing as pretty much the only testing option for at-risk families, cancer genetic predisposition testing has been reinvigorated by a whole slew of labs offering a bewildering array of testing options – panels focused on a specific type of cancer, panels limited to highly penetrant genes only, multi cancer gene panels, panels that include moderately penetrant genes, and even design-your-own panels. This isn’t a perfect world and the pick-up rate of new mutations is a bit disappointing. Still, sunshine and fresh air are starting to flow through some of the dark and musty corners of hereditary cancer risk testing. But all of a sudden health insurers are starting to rain on the parade of new tests. Over the past year, a number of health insurers – local and national – have backed off from covering multigene panel tests after having previously provided coverage. Regence Blue Shield, First Choice, HMA, CIGNA (with a few rare exceptions), BlueCross BlueShield of Kansas, and now Federal Blue Cross and Aetna (which doesn’t even cover large genomic rearrangement testing! ), among others, have put policies in place that specifically exclude coverage of multigene panels. What’s going on here? I don’t want to stereotype health insurers as amoral profiteers looking to cut a few corners to increase their bottom lines by denying recommended medical care (though admittedly the temptation to do so was strong). That is foolish name calling that gets us nowhere. The policy changes are presumably based on a lack of data on our part rather than a lack of conscience on the part of the insurance industry. Why should insurers cover multigene panels if care providers can’t demonstrate that they improve patient outcomes or make for more economical use of medical resources? 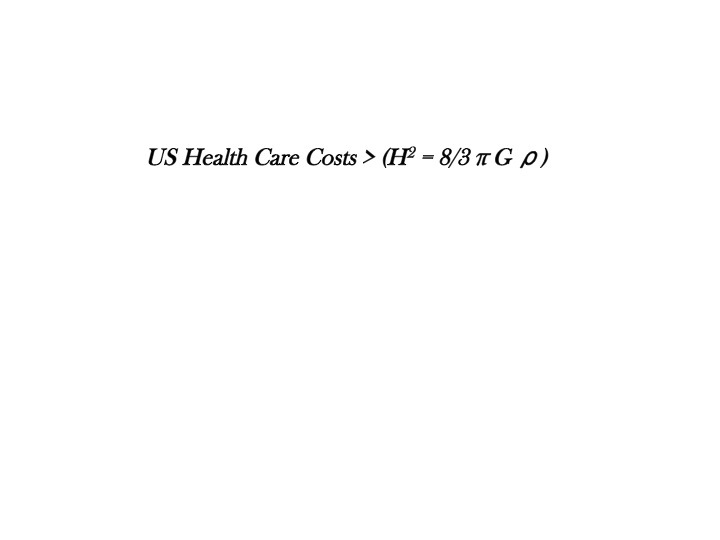 Health care costs are expanding at a quicker rate than the visible universe and any new tests should have clear-cut medical or economic benefits. The problem lies in the very nature of genetic disease. Genetic conditions are rare. Even with the BRCA genes, the most common highly penetrant cancer risk genes, it took nearly ten years to accumulate convincing data on clinical utility and cost effectiveness. All of the other cancer risk associated genes are far less common. It is impossible to conduct clinical and cost-effectiveness studies on each gene, especially for the moderately penetrant genes. Simply put, we will never be able to provide the data that insurers are demanding. But enough kvetching. Let me offer some ways to address this problem. Insurers need to understand that this is a whole new world in genetics and therefore they must use different standards for determining coverage for testing for uncommon conditions. An alternative way of thinking is to look at genetic diseases as defects in pathways rather than as isolated genes. Given what we have learned about the BRCA/Fanconi pathway, it is reasonable to assume that many genes in the pathway – NBN, PALB2, ATM, etc. – will have some impact on cancer risk. If research can demonstrate the benefits of testing for one gene in a pathway, this should provide solid ground for assuming that testing other genes in the pathway will likely be beneficial as well. Adding more genes to a testing panel should result in greater medical benefits, though admittedly to varying degrees. Sure a few genes in a pathway may eventually turn out to have little clinical value, but those can be discarded along the way. Insurers must realize that adding more tests to a panel does not substantially increase the costs. Thanks to massively parallel sequencing, it costs no more to run four genetic tests than it does to run forty genetic tests. While the greater number of positive genetic test results may result in greater indirect costs because more patients will test positive for a mutation and will be undergoing screening and risk reducing procedures, this will be partially offset by eliminating the need for screening and prophylactic measures in family members who test negative for familial mutations. In a high risk family where no mutation has been identified, everyone in the family needs testing. However, if a mutation is found in the family, on average only half as many people will be high risk. Insurers should make multigene panel testing contingent on genetic counseling with a qualified professional to help assure that patients are provided with the most accurate and up to date information about the clinical implications of the test results. Clinical guidelines of professional organizations such as the NSGC, ACMG, NCCN, ASCO, should endorse multigene panels. Not necessarily specific gene panels, but rather the concept of multigene panels in general. Insurers will have a harder time denying coverage for a test if is widely recommended by groups that help set standards of care. We must continue to conduct clinical and economic studies to help determine the utility of multigene panels. The studies will require broad cooperation among labs, research institutions and individual researchers, patient organizations, and international consortia. And genetic counselors should be at the forefront of these studies. We are the boots on the ground for almost every new genetic test and are in a prime position to lead research efforts. We should be driving this mule team, not sitting in the back of the wagon hoping that we don’t fall off at the next bump. As I have discussed previously, there is reason to believe that some labs may be engaging in deceptive billing practices if they do not let insurers know that a panel is being but the insurer is only billed for BRCA analysis. This, in my view, is frankly unethical and creates an atmosphere of distrust. I would not be surprised if this has partially contributed to insurers’ reluctance to cover multigene panel testing. Such practices, if they are taking place, must be discontinued. Honesty and openness are sine qua non in any relationship. Patients have the potential to benefit greatly from advances in genetic testing. But new technologies also create new challenges and require new ways of thinking about the care that we provide and how we justify paying for it. Benefits, Beneficence, and Bending Ethics: Questionable Billing Practices for Multigene Panels? Germline multigene panel testing is the new hot thing in genetic counseling circles. For the last 15 or so years, the equation has read “Breast Cancer Genetics = BRCA Testing,” with the occasional TP53, PTEN, STK11, or CDH1 test thrown in when we thought we were being clinically astute and smarter than the non-geneticsts at Tumor Board. But now, thanks to the discovery of other genes linked to hereditary breast cancer along with the miracle of massively parallel sequencing, we can test patients for a bucketful of genes in one fell swoop without significantly increasing the cost. We debate the wisdom of including some of the genes on these panels, differences in laboratory quality, the clinical value of the information, and – everybody’s favorite – high rates of variants of uncertain significance. These are important issues but here I want to discuss an ethically gray practice that has not received much public airing – billing health insurers for multigene panels. Here in the beautiful Pacific Northwest, roughly half of the health insurance companies cover multigene panels. Not uncommonly, patients will request “that new gene test” that their friend told them about. Counseling issues aside, many patients are disappointed when they learn that if they want a multigene panel, their insurer will not pay for it and they will have to fork over $1500-$4100 of their own hard-earned money. But word on the street – and I am not naming names since I don’t have personal experience with this phenomenon yet – is that some patients are managing to get gene panels covered by their insurers even when their carriers have explicit policies against such testing. I have been told – and again I acknowledge that I do not have hard proof of this – that some labs are running the panels but not letting insurers know that a multigene panel test was performed. This is partially due to the insurance coding game. The billing codes for BRCA testing are the same as the billing codes for multigene panels, so on one level, insurers are blind to the distinction between the two tests and might never know that their policyholders are not exactly getting the test that the insurer paid for. If labs eat these costs in full, well, that’s their own business decision and not an ethical lapse (although I wonder how many write-offs a lab can absorb while still maintaining profitability). If this deceptive billing practice is indeed taking place, it is hard to believe that labs are doing this strictly out of the goodness of their hearts or entirely out of concern for the health and well-being of patients. Genetic testing for hereditary breast cancer has become highly competitive and labs are intensely vying for market share since the US Supreme Court decision in Association for Molecular Pathology v. Myriad Genetics opened up BRCA testing to all labs. If labs are engaging in this practice, it is likely because they want to win the favor of major cancer centers that can provide millions of dollars of business. Billing an insurer for a test when the lab is aware that the insurer does not cover it, and not letting the insurer know which test was actually run, strikes me as dishonest rather than just bending the rules. And if we genetic counselors stand silently by and allow this to transpire, we are accessories to this moral – and legal? – infraction. It may also cause insurers like Cigna to rethink their policy of requiring a consultation with a genetic counselor before approving coverage for genetic testing. We are, after all, supposed to be conscientious about their guidelines when we order genetic testing for their policyholders. Now let me be clear. I am (mostly) a supporter of gene panel testing and think it should be a covered benefit, though I must admit that I am a bit disappointed in the low yield of actionable positive results beyond BRCA. I have spent an inordinate amount of time appealing these policies, with little success. It is frustrating for me and it makes patients unhappy when their insurer does not cover a test that care providers think could be useful. Sure, we want what we think is best for patients, and yes insurance company policies can be maddening. But that does not provide moral justification for deceiving insurance companies. The ends do not justify the means. Instead, it should put the burden on us to continue to appeal the policies through established channels and to perform research studies that assess the clinical value of testing for genes such as NBN, RAD51C, or PALB2. Insurers have a valid point when they say that there are inadequate data to determine the clinical utility of multigene panel tests for their policyholders. I hope that what I have been told is incorrect. If so, then we can write this posting off as based on unverified rumors. But if there is some truth to it, then we need to have a hard and thoughtful discussion. I am interested in hearing the experience of others with insurance coverage for multigene panels. – Thank you to Emily Singh for help with the graphics.